* The meaning of Hosea; Salvation. The last salvation is the love of God who saves our Gentiles, who are like unclean and lewd wives. At the end of time, the minister of the saviour of God will appear (Is.19:20). * 호세아의 뜻; 구원. 마지막 구원은 부정하고 음란한 아내와도 같은 우리 이방인들을 구원하시는 하나님의 사랑입니다. 마지막 때에 하나님의 예비하신 구원자의 사명 자가 나타나게 됩니다.(사19:20). * Total meaning; He speaks of the judgment and love of God, who judges the sins of his people with justice, and does not give up repentance, but loves to the end. He warns the imminent judgment and urges the people of Israel to return to God's love. * 대지; 하나님의 심판과 사랑을 말씀하시는데 자기 백성의 죄를 공의로 심판하시며 회개하는 자를 버리지 아니하시고 끝까지 사랑하십니다. 임박한 심판을 경고하고 이스라엘 백성에게 하나님의 사랑으로 돌아오기를 촉구하십니다. * Important verse: 2:23. And I will sow her unto me in the earth; and I will have mercy upon her that had not obtained mercy; and I will say to them which were not my people, You are my people; and they shall say, You are my God. * 요절: 2:23. 내가 나를 위하여 저를 이 땅에 심고 긍휼히 여김을 받지 못하였던 자를 긍휼히 여기며 내 백성 아니었던 자에게 이르기를 너는 내 백성이라 하리니 저희는 이르기를 내 하나님이시라 하리라. * The explanation) It is love that saves the Gentiles who did not know God and who did not serve God. As a woman alone, as in Is.54, Jesus is born, and through her seed a new age is accomplished. Her husband, who was once rejected by her husband who was seen by her husband again, finds Him who is our husband to return to us. Those who are regenerated by the righteousness of Jesus on the cross will come to a new era when the abandoned Gentiles come back. * 강해) 하나님을 알지 못하고 섬기지 아니하던 이방 민족을 구원하여 하나님의 백성을 삼으신다는 사랑입니다. 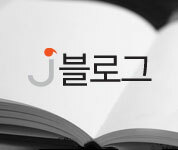 사54장처럼 홀로된 여인으로 말미암아 예수님이 나서 그 씨로 말미암아 새 시대가 이루어지는 데는 젊어서 본 남편한테 버림당했던 아내를 다시 남편이 찾아 맞아들이듯이 우리 남편 되시는 하나님께서 버림당했던 우리들을 돌아오게 한다는 것입니다. 예수의 십자가로 의로 말미암아 중생 받은 사람들은 버림당했던 이방 민족이 돌아와서 새 시대를 이룬다는 것입니다. * Hosea's wife and child; We must repent and be merciful. * 호세아의 아내와 자식; 회개하여 긍휼히 여김을 받아야 합니다. Laururama (1:6); He who has not been compassionate. 로루하마(1:6); 긍휼히 여김을 받지 못한 자.
Roammi (1:9); Not my people. Ammy (2:1); It's my people. @ Hos.4:6. My people are destroyed for lack of knowledge: because you have rejected knowledge, I will also reject you, that you shall be no priest to me: seeing you have forgotten the law of your God, I will also forget your children. @ 호4:6. 내 백성이 지식이 없으므로 망하는도다. 네가 지식을 버렸으니 나도 너를 버려 내 제사장이 되지 못하게 할 것이요 네게 네 하나님의 율법을 잊었으니 나도 네 자녀들을 잊어버리리라. * The explanation) Indeed, it is time for wisdom and knowledge from heaven to be needed in this age. Those who belong to the truth will hear, and those who choose will understand. It is not possible to know the word of God through human knowledge. We will receive the protection and love of God when we obey the law of the truth and understand the law of truth in obedience. * 강해) 참으로 이 시대에 하늘로부터 오는 지혜와 지식이 필요한 때입니다. 진리에 속한 자는 듣게 될 것이고 택한 자는 깨닫게 될 것입니다. 인간의 지식으로 하나님의 말씀을 알 수는 없는 것입니다. 시대적인 말씀을 진리의 법을 바로 깨달아 알고 순종할 때에 하나님의 보호와 사랑을 받게 될 것입니다. @ Hos.4:16. For Israel slided back as a backsliding heifer: now the LORD will feed them as a lamb in a large place. @ 호4:16. 이스라엘은 완강한 암소처럼 완강하니 이제 여호와께서 어린 양을 넓은 들에서 먹임같이 저희를 먹이시겠느냐. * The explanation) When you receive the Holy spirit, you have a soft heart, tolerance and forgiveness. If you are hard and stubborn, it is not the spirit that received the Holy spirit, but you will not be people a new age blessing of God. * 강해) 성신을 받으면 부드러운 마음과 관용과 용서가 있는 것입니다. 강퍅하고 완악하면 성신을 받은 심령이 아니고 하나님의 새 시대 복을 백성이 아닙니다. @ Hos.5:10. The princes of Judah were like them that remove the bound: therefore I will pour out my wrath upon them like water. @ 호5:10. 유다 방백들은 지계표를 옮기는 자 같으니 내가 나의 진노를 저희에게 물같이 부으리라. * The explanation) Greedy and greedy leaders will not escape the tribulations that come down like water. Those who seek to make their own interests by working illegally will not escape God's wrath. Christianity should have sacrifice, service, and labor of love, and share and receive the love of truth. * 강해) 욕심 많고 탐욕이 심한 지도자들은 물같이 내려오는 환란을 피하지 못할 것입니다. 불법을 일삼아 자기 이익을 도모하려는 자들은 하나님의 진노를 피하지 못할 것입니다. 기독교는 희생과 섬김과 사랑의 수고가 있어야 하고 진리의 사랑을 나누고 받아야 합니다. @ Hos.6:1. Come, and let us return unto the LORD: for he has torn, and he will heal us; he has smitten, and he will bind us up. @ 호6:1. 오라 우리가 여호와께로 돌아가자 여호와께서 우리를 찢으셨으나 도로 낫게 하실 것이요 우리를 치셨으나 싸매어 주실 것임이라. * The explanation) We have to go back to God. We must keep the commandments, keep the word, join in the work of the Lord, and find the Lord at the time of our last repentance. He who chooses not to rest in peace, but to suffer with hardships, trials, and ordeals, and to understand the love of God. If he obeys the Word, he pours out the Holy Spirit and heals all things and enjoys eternal rest. * 강해) 하나님께로 돌아가야만 합니다. 계명을 지키고 말씀을 지키고 주의 일에 동참하고 마지막 회개의 때에 여호와를 찾아야만 합니다. 택한 자가 평안히 있다가 복락을 누리는 것이 아니라 어려움과 시련과 연단으로 치시고는 하나님의 사랑을 깨닫게 하시고는 말씀에 순종하면 성령을 부어주셔서 모든 것을 고쳐주시고 영원한 복락을 누리게 하십니다. @ Hos.6:3. Then shall we know, if we follow on to know the LORD: his going forth is prepared as the morning; and he shall come unto us as the rain, as the latter and former rain unto the earth. @ 호6:3. 그러므로 우리가 여호와를 알자 힘써 여호와를 알자 그의 나오심은 새벽빛같이 일정하니 비와 같이 땅을 적시는 늦은 비와 같이 우리에게 임하시리라 하리라. * The explanation) In this age, we must know the Jehovah our God. Through the four Gospels, we know the Lord through the book of Acts and Letters, knowing the Holy Spirit through the book of Revelation and the prophets, Knowing God is protected by the tribulation of judgment and the day of disaster. We must receive the Holy Spirit, like the late rain, which makes the seeds glow. (Joel.2:29), a spirit of judgment and a spirit of annihilation (Is.4:4) that cleanses and gives authority to sin. It is necessary to receive the last grace as a shower.(Zeck.10:1). * 강해) 이 시대에는 하나님 아버지 여호와를 알아야 합니다. 사복음서를 통하여 주님을 알고 사도행전과 편지서를 통하여 성령님을 알고 계시록과 선지서를 통하여 하나님을 알아야 심판의 환란과 재앙의 날에 보호를 받습니다. 알곡을 영글게 하는 늦은 비와 같은 성령을 받아야 합니다. 남종과 여종에게 부어주는 성신이요(욜2:29), 죄를 깨끗케 하시고 권세를 주시는 심판의 영과 소멸의 영을(사4:4) 받아야 합니다. 소낙비 같이 나리는 마지막 은혜를 받아야 합니다(슥10:1). @ Hos.6:6. For I desired mercy, and not sacrifice; and the knowledge of God more than burnt offerings. @ 호6:6. 나는 인애를 원하고 제사를 원치 아니하며 번제보다 하나님을 아는 것을 원하노라. * The explanation) We must know well God to honor God. He wants a heart of love and hopes for knowledge that knows God rightly. It is not that we serve God by attending several times of worship, but that we need knowledge to serve God with truthful truth and generosity mind. It is a people who chose to know the truth of the times in this age. * 강해) 하나님을 공경하려는 하나님을 잘 알아야 합니다. 사랑이 있는 마음을 원하고 하나님을 바로 아는 지식을 바라고 원하십니다. 그것은 예배 몇 번 참석으로 하나님을 섬긴다는 것이 아니고 관용이 있는 마음 참된 진리를 가지고 하나님을 섬기는 지식이 필요하다는 것입니다. 이 시대에 시대적인 진리를 잘 알아야 택한 백성입니다. @ Hos.7:8~9. Ephraim, he has mixed himself among the people; Ephraim is a cake not turned. Strangers have devoured his strength, and he knew it not: yea, gray hairs are here and there upon him, yet he knew not. * The explanation) As the people of God vulgarization and compromise, they are not Christians who smell like Christ on the one side get cooked, but one side belongs to the world and the other side is like a people belonging to God. they are troublesome like the people of God. * 강해) 하나님의 백성이 속화 되고 타협하니 한 면만 익은 전병같이 그리스도의 향기만 내는 기독교인이 아니고 한 쪽은 세상에 속하고 한 쪽은 하나님께 속한 백성 같아서는 곤란합니다. 요즈음 용공 협상하여 죽을 길을 가고 있으나 깨닫지 못하는 경우라 할 수 있고 타협하고 속화 되서 심판의 대상이 되고도 알지 못하는 것입니다. @ Hos.7:11. Ephraim also is like a silly dove without heart: they call to Egypt, they go to Assyria. @ 호7:11. 에브라임은 어리석은 비둘기 같이 지혜가 없어서 애굽을 향하여 부르짖으며 앗수르로 가는 도다. * The explanation) There is no wisdom to know God, so we have to trust in God and trust in the Word. They have become a fool who depends on the world and depends on the Northern powers. Those who rely on the capitalist material power of the United States or depend on the Communist Party to look to God are become a foolish people. * 강해) 하나님을 아는 지혜가 없어서 하나님을 의지하고 말씀을 믿어야 하는데 세상을 의지하고 북방 세력을 의지하는 어리석은 사람이 된 것입니다. 하나님을 바라보아야 하는데 자본주의 물질 세력인 미국을 의지하거나 공산당을 의지하는 자들은 어리석은 자들입니다. @ Hos.7:16. They return, but not to the most High: they are like a deceitful bow: their princes shall fall by the sword for the rage of their tongue: this shall be their derision in the land of Egypt. @ 호7:16. 저희가 돌아오나 높으신 자에게로 돌아오지 아니하니 속이는 활과 같으며 그 방백들은 그 혀의 거침 말로 인하여 칼에 엎드러지리니 이것이 애굽 땅에서 조롱거리가 되리라. * The explanation) Failure to return to God means that the bow can not go as well as it misses the target and will be subject to judgment in stubborn words with hard language and will die in tribulation and have no heart to fear God. * 강해) 하나님께로 돌아오지 못하는 것이 활이 과녁을 빗나가는 것처럼 잘 못가고 강퍅한 말로 완악한 말로 심판의 대상이 되어 환란에 죽을 것이며 하나님을 경외하는 마음이 없다는 것입니다. @ Hos.10:10. It is in my desire that I should chastise them; and the people shall be gathered against them, when they shall bind themselves in their two furrows. @ 호10:10. 내가 원하는 때에 저희를 징계하리니 저희가 두 가지 죄에 걸릴 때에 만민이 모여서 저희를 치리라. * The explanation) At that time, the sins of Israel at that time had left God and served Bethel and the golden calf in Dan, and now they have become a church that loves matter more than God. And the second sin was the betrayal of the Davidic dynasty and the establishment of the Samaritan king. Now, there are many pro-negotiators pro communist who like North Korea's Kim Jong Eun. It is time to be judged. * 강해) 그때 당시 죄는 이스라엘이 하나님을 버리고 벧엘과 단에 금송아지를 두고 섬겼는데 지금은 물질을 하나님보다 더 사랑하는 교회가 되었습니다. 그리고 두 번째 죄는 다윗 왕조를 배반하고 사마리아 왕을 세운 죄인데 지금은 북한 김정은을 좋아하는 용공협상 자들이 많습니다. 심판받을 때가 임박한 때입니다. @ Hos.10:12. Sow to yourselves in righteousness, reap in mercy; break up your fallow ground: for it is time to seek the LORD, till he come and rain righteousness upon you. @ 호10:12. 너희가 자기를 위하여 의를 심고 긍휼을 거두라 지금이 곧 여호와를 찾을 때니 너희 묵은 땅을 기경하라 마침내 여호와께서 임하사 의를 비처럼 너희에게 내리시리라. * The explanation) It is time to do righteousness and receive compassion. In order to obey God's will, righteousness is the best righteousness in this age to obey the words of the times and to join in the construction of the kingdom of the new age. To accept the Lord of the Second Coming, to be a changeable saint in the cloud, to be the ascendant of change, to be the make-up of the bride, and to receive the forever royal throne. We must make good fields of soft hearts, forgiving hearts and hearts to live by making breake the same heart as the old land and repenting to make good fruit by rooting out the Word. We must receive the work of the Spirit of the late rain that falls like shower. We must receive the Spirit of expiration.(Is.4:4). * 강해) 의를 행하여 긍휼을 입어야 하는 때입니다. 의는 하나님의 뜻에 순종하기 위하여 시대적인 말씀에 순종하여 새 시대 왕국건설에 동참하는 것이 이 시대에 최고의 의가 됩니다. 재림의 주를 영접하는 것이요 구름 타고 변화 승천할 변화성도가 되는 것이요 신부단장을 이루는 길이요 세세왕권을 받는 영광된 길입니다. 묵은 땅과 같은 마음을 찧고 회개하여 부드러운 마음과 용서하는 마음과 살리려는 마음의 좋은 밭을 만들어 말씀의 뿌리를 내려 좋은 열매를 맺어야 합니다. 소낙비 같이 내리는 늦은 비의 성령의 역사를 받아야 합니다. 소멸의 영을 받아야 합니다.(사4:4). @ Hos.14:9. Who is wise, and he shall understand these things? prudent, and he shall know them? for the ways of the LORD are right, and the just shall walk in them: but the transgressors shall fall therein. @ 호14:9. 누가 지혜가 있어 이런 일을 깨달으며 누가 총명이 있어 이런 일을 알겠느냐 여호와의 도는 정직하니 의인이라야 그 도에 행하리라 그러나 죄인은 그 도에 거쳐 넘어지리라. * The explanation) The mystery and providence of God who is an honest man and a clean righteous man, they will be blessed to be realized. * 강해) 하나님의 비밀과 섭리는 정직한 자라야 깨끗한 의인이라야 깨달아 복을 받게 될 것입니다.